Top judge comes clean on limited disclosures of judicial conflicts of interest. 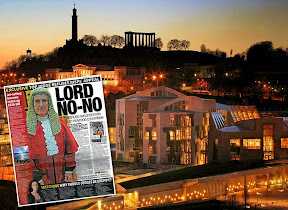 SCOTLAND’S top judge, the Lord President Lord Brian Gill has been forced to publish a limited amount of information on how judges recuse themselves from conflict of interests in cases being heard in Scottish Courts. 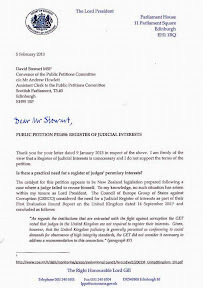 However, the move to disclose recusal data has only came about after Lord Gill gave an undertaking on the issue to MSPs of the Scottish Parliament's Public Petitions Committee who are currently investigating proposals contained in Petition PE1458: Register of Interests for members of Scotland's judiciary calling for judges to declare all their interests in a published available register of judicial interests. 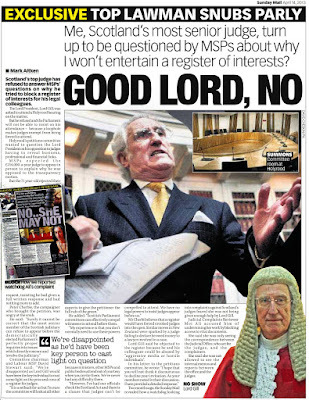 The publication of the limited information on recusals by Lord Gill, who has twice refused invitations to appear before msps to give evidence and face questions on his opposition to the proposal to require all members of Scotland’s judiciary to disclose their interests, is seen as an attempt to stem increasing calls for a full register of judicial interests from the media, members of the public, campaigners and Scotland’s Judicial Complaints Reviewer who all believe the plan will increase transparency and accountability in Scotland’s judiciary. 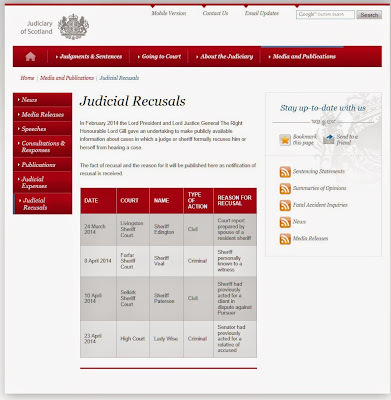 The first ever published disclosures of albeit limited information on recusals by Scotland’s judiciary contains a brief, but important glimpse of the until now secret links between judges and others in the legal system. While the move to publish recusal information is welcome, there are thought to be a raft of on-going cases in the Court of Session in which recusals have not been made, where judges undeclared relationships with law firms, solicitors, and undisclosed investments including financial relationships with banks, big business and other institutions have apparently not resulted in recusals, due to the judiciary’s resistance to declare a full and true picture of their wealth, earnings and investments. 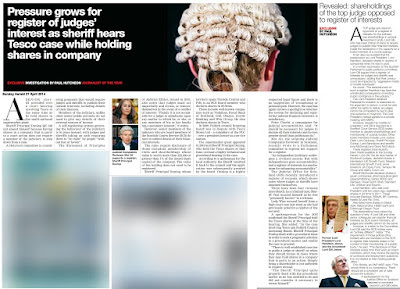 There is also an increasing suspicion that potentially hundreds of civil cases previously heard in Scotland’s courts may not have been heard fairly due to judges refusing to even consider recusing themselves or openly disclose any conflict of interest in cases they presided over. From investments in banks, to insurance firms, positions on boards, directorships, links to other public bodies, property holdings, directorships, earnings from law firms etc are but a few of the secret interests privately held by members of the judiciary which have never been declared ever in court. And, in criminal cases, it has previously emerged that prosecutors who were promoted to judges and then proceeded to throw out appeals against people they had themselves convicted, have also refused to disclose any conflicts of interest during court hearings. This very unfair state of affairs in Scotland’s courts, where judges are writing their own rules on what they are required to disclose. and what they can keep secret, will continue until a full register of judicial interests requiring all members of Scotland’s judiciary to disclose their interests is created. Short note from top judge gives little on transparency. 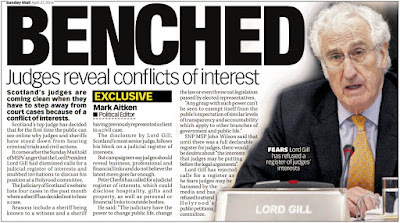 Lord Gill made the offer to publish recusal data after a year of resisting calls from msps to hand over statistic on how judges dealt with conflicts of interest in court. Lord Gill’s letter to msps offering the small change said : “I am pleased to say that my officials have devised a means by which this can be achieved. Court Clerks will inform the Judicial Office for Scotland when a judge or sheriff has to recuse. The reason for recusal will be provided. 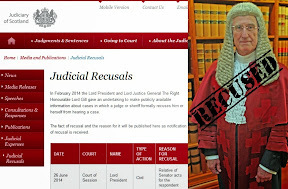 The fact of recusal and the reason for it will appear on the Judiciary of Scotland website. 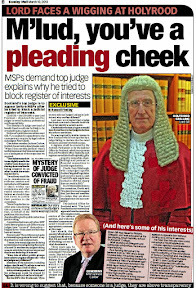 The concession on recusals by Lord Gill is widely seen as having little value without a full register of interests to accompany it, and comes after the judge spent a year refusing to cooperate with msps looking for answers on the secret world of Scottish judges. 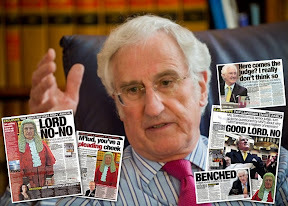 Lord Gill also refused at least two invitations from the Petitions Committee to attend evidence sessions and face questions in public from the full Committee. 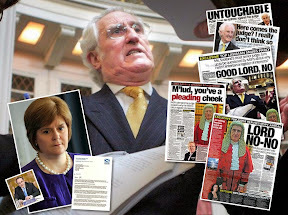 At one point Gill even used loopholes in the Scotland Act to dodge parliamentary scrutiny with an implication judicial cooperation with Holyrood may be withdrawn over the issue. However, Scotland’s judiciary are well known as a group of select, predominantly white, extremely wealthy influential lawyers who have an unelected and almost unchallengeable power to stall or close debate on their own secret vested interests, change any of our lives at the stroke of a pen, or strike down legislation desired by the greater community and voted through by democratically elected politicians in our own Scottish Parliament. Clearly any group in society which have such almost limitless power, must above all, be as transparent as other branches of government and society to which it applies its rulings. 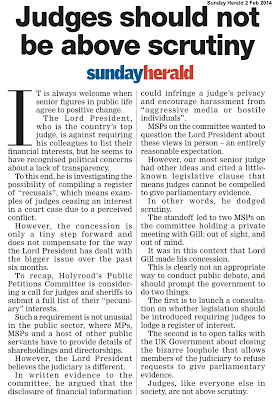 However, as Scots have discovered during a full year of debate at the Scottish Parliament’s Public Petitions Committee, if anything, the judges are even more secret than the secret service itself when it comes to the thorny question of judges pecuniary and other interests. 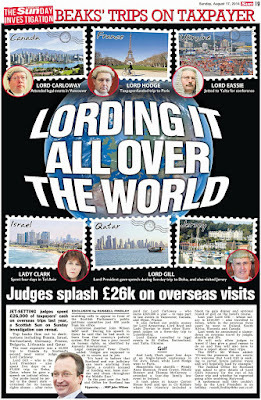 Their personal, undeclared wealth including extensive family and business links throughout the legal profession, offshore ‘tax efficient’ trusts, ownership of numerous and high value properties through a variety of interesting arrangements, investments, directorships and shareholdings, collectively generate millions of pounds in earnings for the judges and their families each year, yet none of it is declared because the judges write their own rules exempting themselves from transparency and any accountability over how their interests collide with their duties in court. Top judge tells MSPs he has backing of judges vested interests, Justice Secretary against judicial register plan. 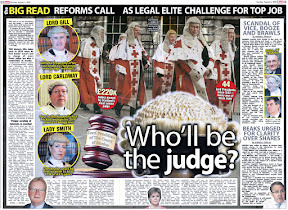 SCOTLAND’S top judge, the Lord President Lord Brian Gill has told MSPs he has the support of judicial vested interests across the UK & EU who are too scared to declare their wealth & connections to big business, the UK’s Westminster Government, and even Scotland’s Cabinet Secretary for Justice Kenny MacAskill who all back Lord Gill’s campaign against Petition PE1458: Register of Interests for members of Scotland's judiciary which calls for the Scottish Parliament to consider legislation which would require judges to declare their full interests in a publicly available and regularly updated register of judicial interests. 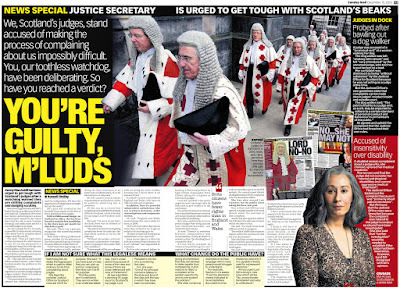 And in a shocking stance declaring double standards are the order of the day in judicial life, Lord Gill also claimed in his letter to David Stewart MSP, the Convener of the Scottish Parliament’s Petitions Committee, that just because the top judge and six other members of the judiciary make declarations of some interests in terms of their position on the board of the Scottish Court Service, the same standards of transparency SHOULD NOT and need not be applied to judges acting in their judicial capacity as high earning judges sitting in the courts. 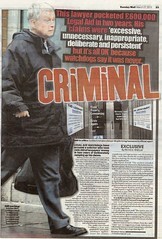 It has also emerged that it took a further 21 days from the date of Lord Gill’s claim to MSPs of Scottish Government support for the Lord President’s anti-transparency campaign against the Scottish Parliament's investigations into the thorny question of judges undeclared interests, for Justice Secretary Kenny MacAskill to follow up the Lord President’s earlier letter informing MSPs he backed Gill’s now widely known hostility to the judicial register plan. Thank you for your letter of 6 March 2014. I apologise to you for this late reply. 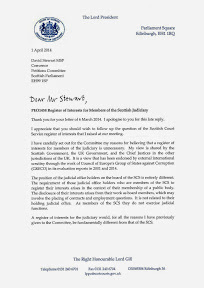 I appreciate that you should wish to follow up the question of the Scottish Court Service register of interests that I raised at our meeting. I have carefully set out for the Committee my reasons for believing that a register of interests for members of the judiciary is unnecessary. My view is shared by the Scottish Government, the UK Government, and the Chief Justices in the other jurisdictions of the UK. 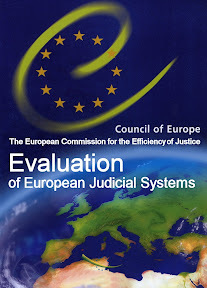 It is a view that has been endorsed by external interactional scrutiny through the work of Council of Europe's Group of States against Corruption (GRECO) in its evaluation reports in 2001 and2014. The position of the judicial office holders on the board of the SCS is entirely different. The requirement of those judicial office holders who are members of the SCS to register their interests arises in the context of their membership of a public body. The disclosure of their interests arises from their work as board members, which may involve the placing of contracts and employment questions. It is not related to their holding judicial office. As members of the SCS they do not exercise judicial functions. A register of interests for the judiciary would, for all the reasons I have previously given to the Committee, be fundamentally different from that of the SCS. 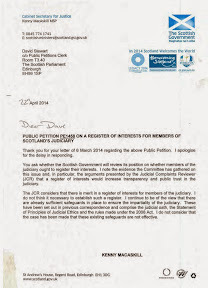 Thank you for your letter of 6 March 2014 regarding the above Public Petition. I apologise for the delay in responding. You ask whether the Scottish Government will review its position on whether members of the judiciary ought to register their interests. I note the evidence the Committee has gathered on this issue and, in particular, the arguments presented by the Judicial Complaints Reviewer (JCR) that a register of interests would increase transparency and public trust in the judiciary. The JCR considers that there is merit in a register of interests for members of the judiciary. I do not think it necessary to establish such a register. I continue to be of the view that there are already sufficient safeguards in place to ensure the impartiality of the judiciary. These have been set out in previous correspondence and comprise the judicial oath, the Statement of Principles of Judicial Ethics and the rules made under the 2008 Act. I do not consider that the case has been made that these existing safeguards are not effective. 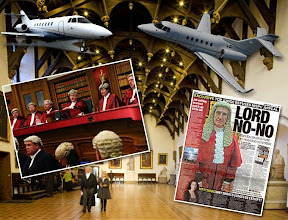 Scotland’s judiciary are a group of select, predominantly white, extremely wealthy influential lawyers who have an unelected and almost unchallengeable power to stall or close debate on their own secret vested interests, change any of our lives at the stroke of a pen, or strike down legislation desired by the greater community and voted through by democratically elected politicians in our own Scottish Parliament. Clearly any group in society which has this almost limitless power, must above all, be as transparent as other branches of government and society to which it applies its rulings. 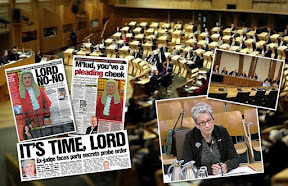 However, as Scots have discovered during a full year of debate at the Scottish Parliament’s Public Petitions Committee, if anything, the judges are even more secret than the secret service itself when it comes to the thorny question of judges pecuniary and other interests. 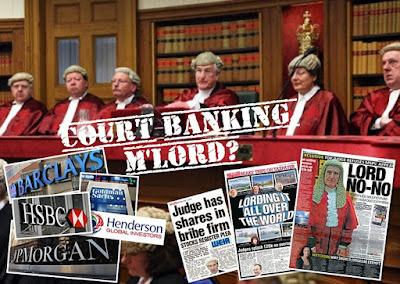 Their personal, undeclared wealth including extensive family and business links throughout the legal profession, offshore ‘tax efficient’ trusts, ownership of numerous and high value properties through a variety of interesting arrangements, investments, directorships and shareholdings, collectively generate millions of pounds in earnings for the judges and their families each year. 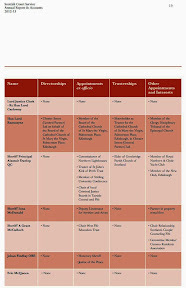 Yet, to-date, not one court user, not one member of the public, not one accused person, nor the media or even our own members of the Scottish parliament have had the chance to scrutinise and question judges about their vested financial interests, as there is no register of judicial interests or any effective method of ensuring the judiciary declare their positions, connections and interests in a publicly available document as called for in Petition PE1458: Register of Interests for members of Scotland's judiciary. 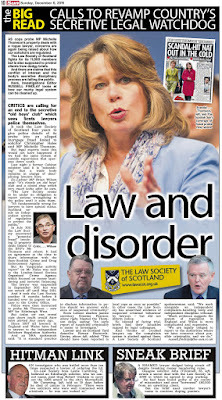 A further six individuals ranging from the Chief Executive of the Scottish Court Service to lawyers and others also sit on the SCS Board, apparently declaring their own interests with ease and none of the fuss which Scotland’s top judge insisted would bring the justice system to a stand still. 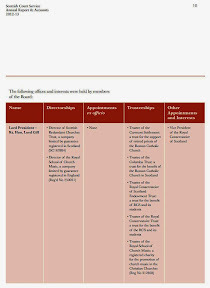 The declarations, required for the positions on the Scottish Court Service Board, appear to fly in the face of a series of excuses, complaints, accusations and veiled threats made by the Lord President in writing against the idea of creating a publicly available register of judicial interests, and raise questions over how Lord Gill has handed the judiciary’s battle against what is a simple call for transparency. Secret discussions held at ‘independent’ regulator on reducing complaints & making victims of dodgy lawyers pay for a slap on the wrist. 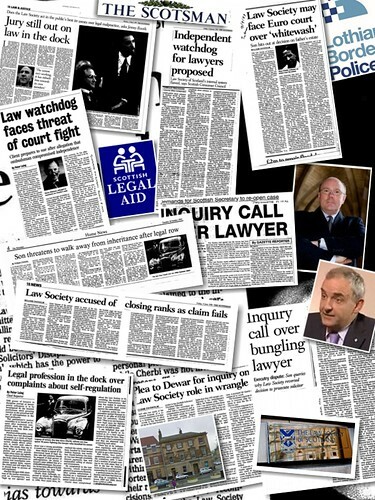 DOCUMENTS obtained under Freedom of Information legislation have revealed that pro lawyer lobby group the Legal Defence Union (LDU), and the ‘independent’ Scottish Legal Complaints Commission (SLCC) which is staffed mainly by lawyers who are supposed to investigate complaints against corrupt lawyers, held private briefings where fee paying clients of dodgy Scottish solicitors were targeted & verbally abused as “mad, bad and sad” in secret discussions containing a wide variety of proposals aimed at silencing members of the public who complain against their solicitor. 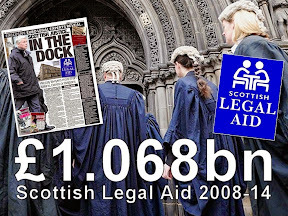 And, in an effort to dissuade financially clients ruined from making complaints against their lawyers to the multi million pound SLCC which is kept afloat by contributions recouped from clients fees to the tune of nearly £3million a year, it has been proposed, with the knowledge of the Law Society of Scotland that victims of dodgy lawyers who have already been ripped off, may be forced to pay large sums of money to the regulator itself, otherwise complaints against crooked lawyers WILL NOT be investigated. 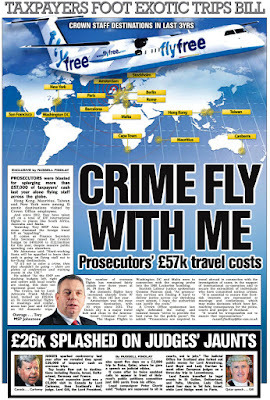 So serious are the proposals to force victims to pay for an investigation into crooked lawyers, a legal insider close to the discussions has revealed that figures as high as ONE THOUSAND POUNDS per complaint have been secretly discussed by a number of pro-lawyer groups intent on defending their colleagues from being investigated for ripping off their clients. 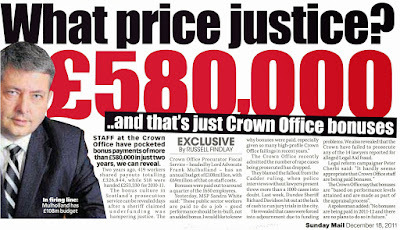 The plan, to force victims of dodgy lawyers to cough up even more money for regulators to investigate complaints which usually only end up with a slap on the wrist anyway, also appears to have JUDICIAL BACKING after legal insiders involved in the discussions made it clear that senior members of Scotland’s judiciary have been consulted on, and have given unofficial support to the moves aimed at preventing members of the public from being able to have any complaints against lawyers properly investigated. One member of the judiciary, who has previously heard civil claims against solicitors in the Court of Session, and who is known to have close links to the Law Society, has even suggested the move would help prevent clients from being able to take their lawyers to court in cases the judge described in a remark as “boring, time consuming and irrelevant”. 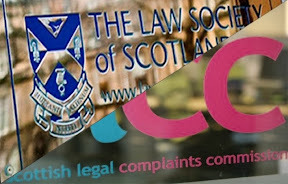 In a further account of activities at the Scottish Legal Complaints Commission days after the briefing with the Legal Defence Union had taken place, apparently staff at the regulator broke into laughter and told rounds of jokes about clients who had approached them for help after being financially ruined by their solicitors. However, there are no records of any disciplinary action being taken at the SLCC over these incidents which allegedly continue to present day. 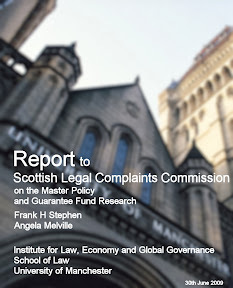 The Scottish Legal Complaints Commission has not published or made any comment on why clients who approach the regulator for help in dealing with rogue solicitors continue to be treated in this way by its staff and organisations which influence the regulator’s day to day workings, including how complaints are investigated. 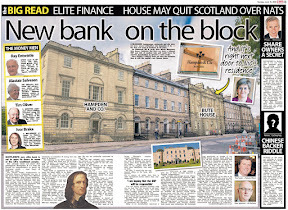 And it is still the case that many clients of Scottish solicitors who approach the SLCC for help are often treated to a months, if sometimes years long hell where often complex complaints alleging fraud committed by Scottish solicitors are curiously ditched after lawyers have their say. 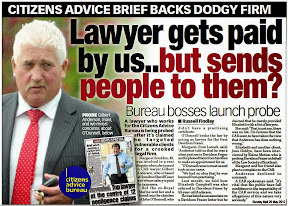 You may be mad, bad or sad, but only after your lawyer took all your money – Secret Legal Defence Union briefing to regulator says spare the lawyer, fleece the client for a little more. The LDU believe that it is an essential requirement of any complaints process that it is fair and impartial and seen to be fair and impartial both to the complainer and the complained against party. That is the starting point and guiding principle in considering any amendment of the 2007 Act. I have reported back on the notes of the meeting on 21st March to my colleagues in the Legal Defence Union but there has not been opportunity for response for the meeting planned today.There is one point however upon which I would like to comment on immediately. That is in relation to point 4 - third party complaints. ... are a source of a great concern not only to the LDU Board but also to practitioners in general who express horror and disbelief that such a "wide" definition is allowed. I am greatly encouraged that the group have identified that these are in the main impractical and a cause for concern to practitioners and I agree that they mismanage expectations of complainers. I am willing to be corrected but I do not think that this applies to other professions like Accountants, Architects or Surveyors. It is also a source of abuse towards practitioners. 1. This touches upon the thing that nobody seems to want to talk about. Most complaint systems are bedevilled by complaints by the mad, the bad and the sad and which may have no basis. We believe the time has been reached for a sum of money to be lodged as a "good faith deposit" towards expenses in such cases. 2. 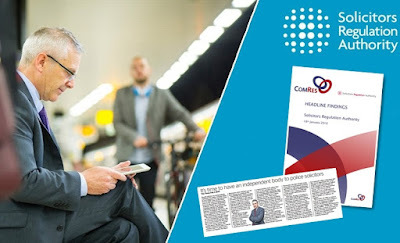 There is no doubt that if a complainer had something to lose then his mind would become focused on whether he would wish to proceed with a complaint. In practice the idea would be that the good faith deposit would be returned if the complaint was upheld but otherwise would be forfeit. 3. Perhaps this goes too far for the present WG but I make no apology for bringing this issue up and I really would welcome a debate on this problem that no one wants to talk about, probably as Complaint bodies do not want to be the first to do so. It is a general point for all complaints processes. There is constant abuse of complaint processes and someone needs to tackle it. Third party complaints against Solicitors are such an unusual concept and the subject of such abuse by complainers that we do think that a financial incentive or disincentive is required. Ideally this should be related to the cost in processing a complaint that is unsuccessful but as a first step any financial penalty would be of assistance in deterring unjustified complaints by third parties. 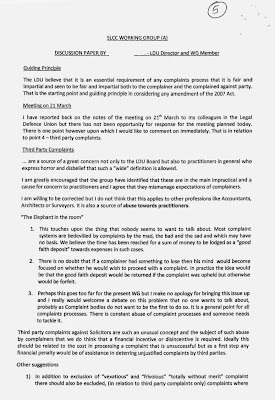 1) In addition to exclusion of "vexatious" and "frivolous" "totally without merit" complaint there should also be excluded, (in relation to third party complaints only) complaints where the Solicitor is simply doing his job. The current test of whether the complainer has been affected by the Solicitor's actings is far too wide. 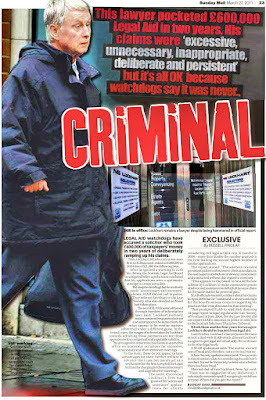 If a Solicitors letter or cross-examination etc does not affect another person then the Solicitor is not doing his job! The Solicitor's job is to represent his own client and that may involve telling another person truths that the other person will not like. Cross-examination by a Solicitor frequently is designed to challenge a witness's account or truthfulness and has to be robust. Therefore excluding complaints about the Solicitor doing his job would assist. 2) Also "totally without merit" is very difficult to demonstrate and a new wording could be say, "without substantial (and demonstrable?) merit". Do not forget that third parties can sue the solicitor if they can prove their case but the Complaints process main purpose is to ease complaints by the client not a third party and the two should not be equated. 1. IPS awards and compliance by "set-off,. 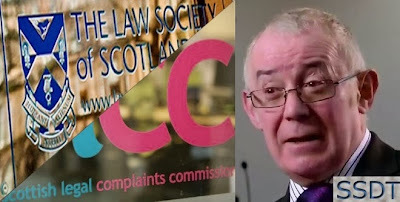 The right of the Solicitor to exercise a right of "set-off" was generally accepted by the Law Society of Scotland (LSS) under the former complaints regime although it never needed to be determined by a Court judgement so far as we know. It is a general matter that applies not just to Solicitors but to anybody in a debtor and creditor relationship and is an invariable aspect of business dealings at common law and under a very old Compensation Act. The basic idea of course is that if the Solicitor is owed money by the client then any IPS award should be set off so as to reduce the amount that the Solicitor has to pay or to reduce the amount which the complainer has to pay to the Solicitor. This is at variance with SLCC policy document in paras 4.45 to 4.57. This appears to be ultra vires of SLCC. It is difficult to see why SLCC should want to remove or limit such a common sense and time honoured device as set off. Indeed in mediation cases the complaint issue and the claim for balance of fees are incorporated as natural parts of the same discussion and that is certainly so in the vast majority of conciliations that are reached so as to settle a complaint even before it comes to SLCC. There are still anonymous committees sitting on determination of service complaints. Under the former complaints regime LSS published the people who sit on various committees. The new SLCC procedures appears to have taken a step back. An SLCC Case Investigator (who is indentified) will often produce a commendably detailed and careful analysis of the file and find no basis for criticising the Solicitor. It can be infuriating when (after the Solicitor through his advisor accepts that recommendation as a sensible and practical way of dealing with the case) you can suddenly receive from an anonymous committee an unexplained decision which reverses what the Case Investigator has done. Often when that new and adverse view appears in the form of a draft determination an advisor might try to change it but it is too late. The method of dealing with these is absurd. The problem is that there is a complete lack of sift at the point in time when cases are going to LSS. The Act provides for an appeal but this has to be taken back at the beginning of the whole procedure when the matter comes through the single gateway at SLCC. A client could put in a list of 10 to 15 headings of complaint of which two or three are deemed potentially "hybrid". It makes no sense at all to be appealing the admission of any conduct elements at that stage when they are only a "add on" to the whole list of service issues and where on any view the service issues are going to be admitted for consideration. Once the service issues are resolved there is then the hybrid issue having to go all the way through the LSS system as they were seen at the original point of admission (perhaps a year or so before) as having some conduct element. It is expensive for LSS and indeed for the LDU to pay for a process which (assuming all the service headings have been dismissed in the first place) seems hardly likely to produce a conduct issue for LSS. Surely the construction of a conduct (sift) at the point in time when the supposed conduct issues are actually going to LSS could be devised and constructed. We have concerns that Section 5 of the 2007 Act imposing a duty on the SLCC and LSS to liaise and consult is not visible and not being maximised. Section 5 can only be construed as intending a careful process at the point of admission of a conduct issue against the Solicitor and effectively a duty to sit out non complaints. 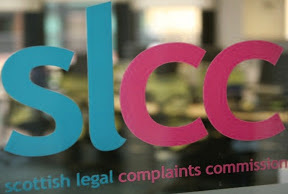 The Legal Defence Union’s briefing to the Scottish Legal Complaints Commission is part of a history where the LDU and the SLCC have met to shape policy. 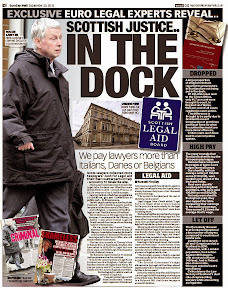 Legal Defence Union helped negotiate away Legal Aid complaints against soliictor accused of nearly £700K claims. 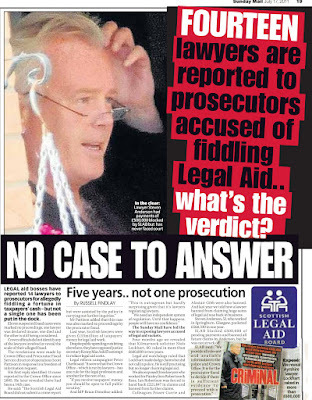 The Legal Defence Union has also found itself in the media spotlight during an investigation into Niels S Lockhart, a Kilmarnock sole practising solicitor who scooped nearly £700K of legal aid funds in three years, and was only stopped after the Scottish Legal Aid Board filed complaints to the Law Society of Scotland. 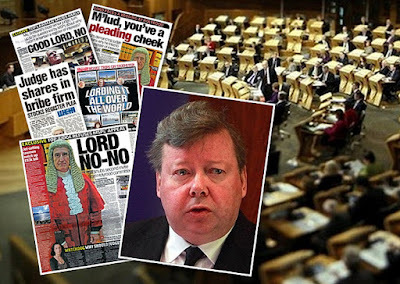 The Legal Defence Union ultimately brokered a secret deal between SLAB and the Law Society which allowed Lockhart to remove himself from the legal aid register. Lord President Lord Brian Gill reckons its easier to drop wigs than declare full interests in public register. LET’S face it, appearing in front of a group of ageing, yet influential, wealthy, secretive, and at times argumentative individuals who wear lengthy grey wigs, are draped ever so self indulgently in red & white ermine robes covered in red crosses, carry what appear to be a variety of implements, and on many occasions appear to have difficulty in operating a laptop, difficulty recalling the names of expert witnesses or referring back to evidence from previous hearings, is an intimidating experience. It certainly is an intimidating experience for many in Scotland. Even more intimidating if you consider that these same individuals all live more or less in the same affluent areas, move in the same circles, go to the same clubs, have offshore investments, own swathes of property while avoiding their name appearing on it, refuse to declare their interests or directorships openly, occasionally threaten the Scottish Parliament when it suits, have numerous & serious criminal convictions no one gets to know of, and, not forgetting that some are closely related to each other and switch their names around so you don't know if you have been before one of their parents or siblings in an earlier hearing. This is not what you really expect to find in a court is it. Not in Scotland, in 2014. Surely not. 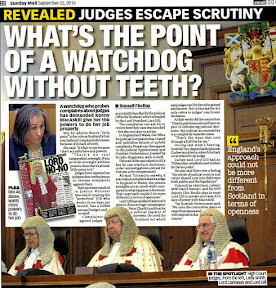 However, as we have seen from well over a year of media investigations and headlines of the secrets of Scotland’s judiciary, together with a full year of debate at the Scottish Parliament’s Public Petitions Committee - this is the true state of fact of Scotland’s courts and the judiciary today, and sadly has been for some time. 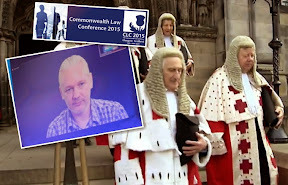 Whether it is a criminal prosecution, or a civil damages case, these are the lives and the undeclared interests of the judges who hear you out. 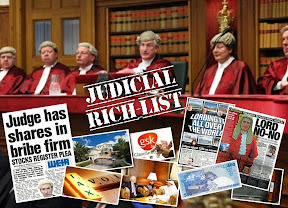 The judiciary's personal, undeclared wealth including extensive family and business links throughout the legal profession, offshore ‘tax efficient’ trusts, ownership of numerous and high value properties through a variety of interesting arrangements, investments, directorships and shareholdings, collectively generate millions of pounds in earnings for the judges and their families each year – yet no one gets to know about it, because the judges have written their own rules exempting themselves from the same requirements of transparency they enforce against the rest of us. 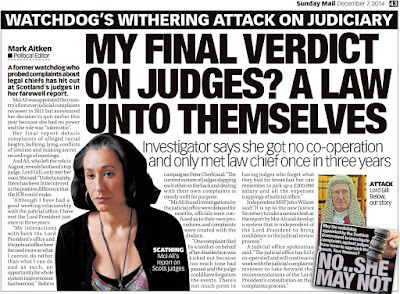 So, when Scotland’s top judge decides it is time to make an attempt to make judges appear more “human” to the public, (but not more transparent or accountable) it is obviously an exercise in newsworthiness. Following a proposal by the Lord President the judges sitting in the Inner House have endorsed this change. However, judges will continue to wear formal robes and wigs when hearing criminal appeals. Eleven judges currently sit in the Inner House, which is the appellate section of the Court of Session. 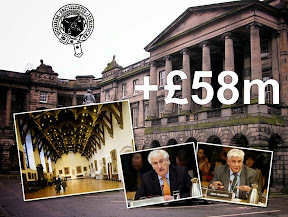 The Inner House acts as a court of appeal for cases from the Outer House (Court of Session first instance courts) and for appeals in civil cases from the Sheriff Courts, the Court of the Lord Lyon, Scottish Land Court, the Lands Tribunal for Scotland, and other tribunals. 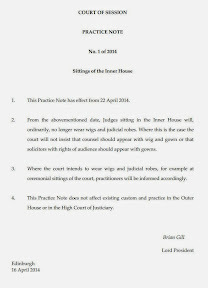 The Lord President has issued a Practice Note that counsel may appear without wig and gown and that solicitors with rights of audience may appear without gowns. 3. 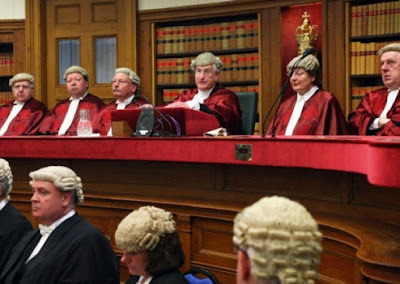 Where the court intends to wear wigs and judicial robes, for example at ceremonial sittings of the court, practitioners will be informed accordingly. 4. This Practice Note does not affect existing custom and practice in the Outer House or in the High Court of Justiciary. 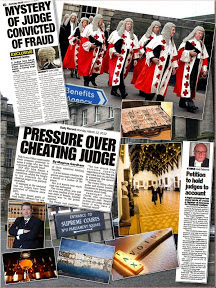 Yet, it appears that while it is a simple matter for Scotland’s top judge to approve the removal of the judges much coveted symbols of judicial power and vested interests in this day and age, it is not so simple an act nor is it in the judiciary’s best interests to fall into line with the rest of the world in terms of transparency and declare their very much undeclared interests to the Scottish Parliament in connection with calls to create a register of judicial interests as called for in Petition PE1458: Register of Interests for members of Scotland's judiciary. 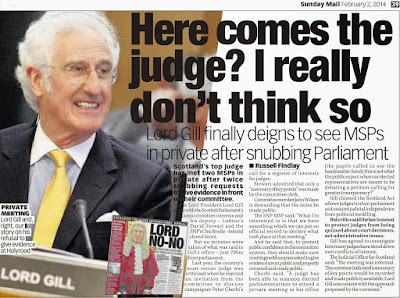 In what was surely a hint of the sheer hostility felt by the judiciary against a call to bring transparency to judges interests, Lord Gill went onto accuse the media, press, litigants, court users and just about everyone else with an interest in transparency of being potentially hostile and aggressive, simply because someone may wish to raise questions of judges interests similar to the same kinds of questions which are raised of interests in other public officials and those in public life, politics & government. 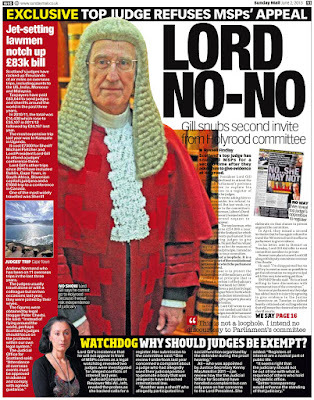 Top judge Lord Gill refused to go to Holyrood, by letter. 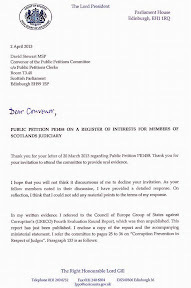 In a second reply to the Convener of the PPC, dated 2 April 2013, Lord Gill refused an invitation to attend the Scottish Parliament and face questions from Committee members on issues raised in the petition and to explain his own opposition to the transparency proposal. 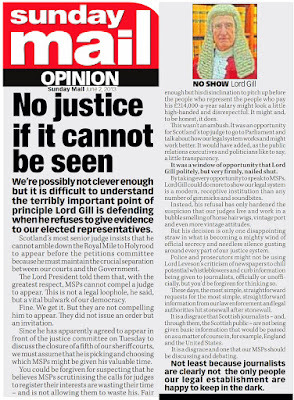 Notably, Gill’s second reply did not contain any answers to questions put to him in writing by the Petitions Committee, nor did the judge provide any statistical or analytical evidence on the numbers of recusals which have been undertaken by judges in Scotland’s courts. 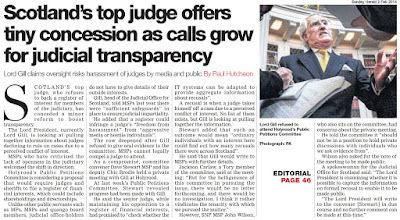 However, seeking once again to lobby MSPs against any call for transparency of judges interests, the Lord President again referred to the content of an EU report, itself written by judges, who claimed there was no need for a register of judicial interests. 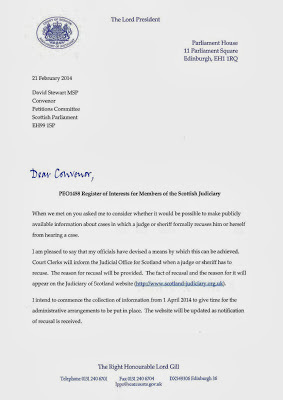 Third letter from top judge refused Holyrood invitation, used Scotland Act loophole. 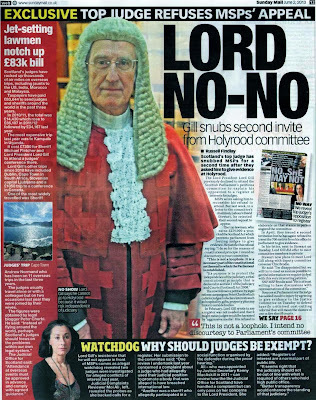 Having received the third letter containing a second invitation to attend Holyrood, Lord Gill wrote back to the Convener of the Public Petitions Committee on the 28 May 2013, again refusing to appear before MSPs to face questions on judges interests and his own opposition to the petition. 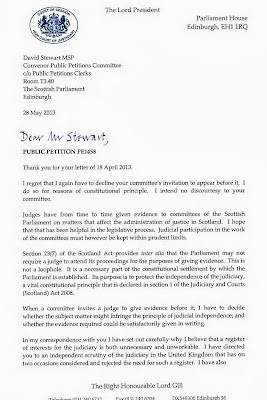 However, this time the top judge added a hint that judicial cooperation with Committees of the Scottish Parliament may suffer and must be limited. 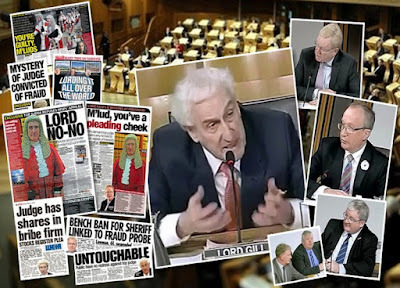 And, shockingly, Lord Gill then sought to use deficiencies in the Scotland Act to justify his refusal to attend the Public Petitions Committee and answer question from msps. Top judge reassures lawyers court reforms will not dent their profits or interests. 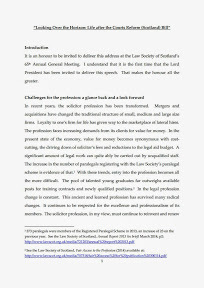 IN a speech to multiple vested interests attending the Law Society of Scotland’s recent Annual General Meeting, Scotland’s top judge, the Lord President Lord Brian Gill has defended proposals contained in the Scottish Government’s Courts Reform (Scotland) Bill, claiming the reforms, based on recommendations of the 2009 Civil Courts Review authored by Gill himself, will not reduce access to justice as some lawyers claim. 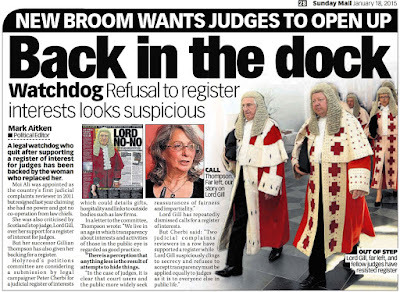 The judge went on to tell the audience of those who make billions of pounds out of Scotland’s courts & clients each year that the reforms would instead offer opportunities to the solicitors' profession. Lord Gill, who has previously addressed the Law Society’s AGM in his capacity as Lord Justice Clerk, most notably when he criticised Scotland’s civil justice system as being unfit for purpose, and “Victorian” in its workings, was speaking as the first Lord President to address the AGM. The speech “Looking over the horizon – life after the Courts Reform Bill” was intended to allay widespread fears within legal circles that lawyers fees, income and law firm’s profits will be hit by reforms to Scotland’s civil courts which include transferring cases of £150,000 or less to the Sheriff courts, where legal fees are significantly less compared with charges levied by solicitors for attending Scotland’s highest court, the Court of Session based in Edinburgh. The changes proposed seek to make the system more affordable for the client consumer. That improves access to justice. Secondly, litigants are not being denied access to the courts, nor representation. 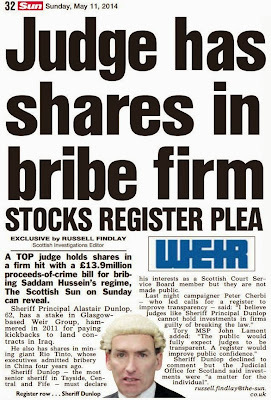 There was no mention in Lord Gill’s speech of transparency regarding judicial interests, an issue currently under consideration at the Scottish Parliament by way of Petition PE1458: Register of Interests for members of Scotland's judiciary. 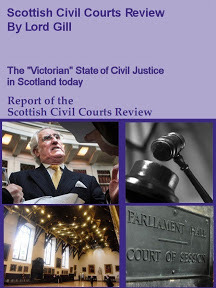 In terms of the lack of a register of judicial interests, litigants in Scotland’s courts currently have no basis to establish whether the judge hearing their case or even a judge involved in a criminal case, should be asked to recuse themselves or not due to conflicts of interest or financial and other interests that members of the judiciary are not keen on declaring openly. Therefore reforms of the courts as currently proposed do not go far enough to allow the public to determine whether cases are being heard fairly or not. Dishonesty among lawyers is tolerated more in Scotland. A SCOTTISH TRIBUNAL tasked with judging corrupt lawyers and applying sanctions from a slap on the wrist to a striking off, is generally viewed as an old pals act back slapping exercise which tolerates dishonesty among the Scottish legal profession much more than it’s English counterpart, say critics & clients who have endured lengthy and in many cases almost pointless hearings of the Scottish Solicitors Discipline Tribunal (SSDT). The SSDT, who claimed in a recent legal profession internal media story that they had been through a “very busy” year to 31 October 2013, revealed the tribunal heard a less than stellar 35 cases compared to 26 for the previous year. The Tribunal claimed it had a "significant increase in business" in its hearings, which now also include appeals by lay complainers against decisions of the Law Society of Scotland not to make a finding of unsatisfactory professional conduct. However, out of the 35 cases which actually made it to the tribunal through the usual maze of self protecting self regulation where lawyers regulate themselves, a paltry NINE cases resulted in solicitors being struck off, with the remaining solicitors receiving slaps on the wrist, broken down as three suspended from practice, two had a restriction placed on their practising certificate, four were fined and censured and a further six were censured. And, while the SSDT claims to take its duties to deal with the worst elements of dodgy lawyers seriously, it has been reported by the legal profession’s internal media that in only two of the cases brought before the tribunal in the past year, undisclosed amounts of compensation were ordered by the tribunal to be paid. As of today, the 2013 annual report has yet to be published on the tribunal website, which is well known for its lack of information and more often than not publishing of judgements months after they have occurred – a move viewed by many in the media as an attempt to hide the true scale of dishonesty and dodgy lawyers from the public’s attention. 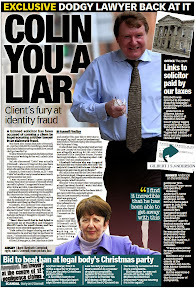 Dishonesty in Scots solicitors more common than lawyers would have us believe. SCOTTISH solicitors “make false representations in order to improve their client’s position, not necessarily their own”. 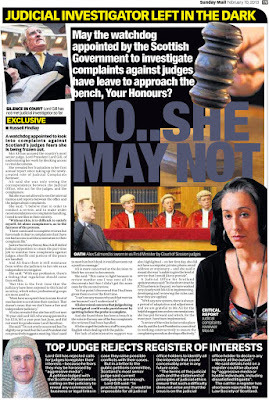 This was a claim made by solicitor Alistair Cockburn, Chairman of the Scottish Solicitors Discipline Tribunal (SSDT) in response to key questions raised by BBC Journalist Sam Poling in a recent investigative programme Lawyers Behaving Badly which is no longer available for public viewing. 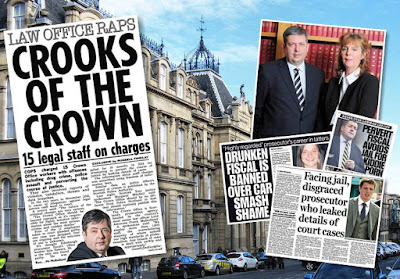 The claims made by the tribunal Chief led to startling revelations over how the lawyer led discipline tribunal which is charged with making findings against members of Scotland’s legal profession deals with allegations & evidence of dishonesty against rogue solicitors. 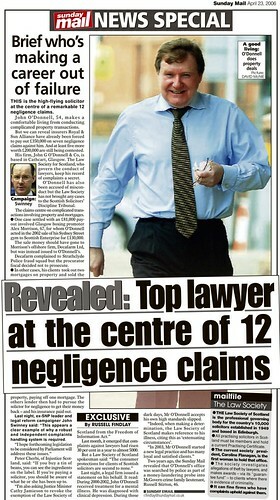 In comparison to the light way in which the Scottish tribunal appears to treat dishonesty among legal colleagues in all its various shades, English legal experts who studied the judgements of the Scottish Solicitors Discipline Tribunal condemned the way dishonest lawyers are more often than not let off the hook in Scotland. Almost all complaints against solicitors indicate at at one stage or another, the solicitor was dishonest to their client, either by making a false representation to them as to the progress of their case, or making false representations to cover their own positions. Very few complaints made by clients against Scottish solicitors which involve serious allegations of dishonesty have ever resulted in solicitors being struck off by the Scottish Solicitors Discipline Tribunal, and an ongoing media investigation into judges undeclared earnings from top Scots law firms has turned up links between serving members of Scotland’s judiciary, law firms, and solicitors who have frequently been accused of dishonesty yet never struck off.